Books - Jeanette Bicknell, Ph. D.
Each chapter focuses on one major musical example and includes several shorter discussions of other selections. All have been chosen for their illustrative power and their accessibility for any interested reader and are readily available. Surely you’ve experienced it before: you’re listening to a piece of music and all of a sudden you find a lump in your throat, a tear in your eye, or a chill down your spine. Whether it’s Beethoven’s Choral Symphony or The Verve’s ‘Bittersweet Symphony’, a bit of blues or a bit of baroque, music has the power to move us. It’s a language which we all speak. But why does it have this effect on us? What is going on, emotionally, physically and cognitively when listeners have strong emotional responses to music? What, if anything, do such responses mean? Can they tell us anything about ourselves? 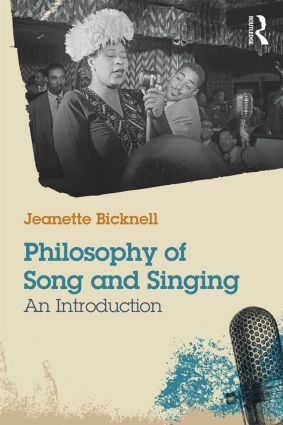 Jeanette Bicknell uses research in philosophy, psychology, neuroscience, and anthropology to address these questions, ultimately showing us that the reason why some music tends to arouse powerful experiences in listeners is inseparable from the reason why any music matters at all. Musical experience is a social one, and that is fundamental to its attractions and power over us. I am the co-editor, with John Andrew Fisher, of Song, Songs, and Singing. Led Zeppelin and Philosophy includes my article on the band’s creativity. I contributed the chapters on “Early Modern Philosophy of Music” and on “Song” to The Routledge Companion to the Philosophy of Music. The Continuum Companion to Aesthetics is now the Bloomsbury Companion to Aesthetics. I contributed the chapter on music. My article, “Singing, Speaking and the Difference” can be found in Singing: The Timeless Muse.